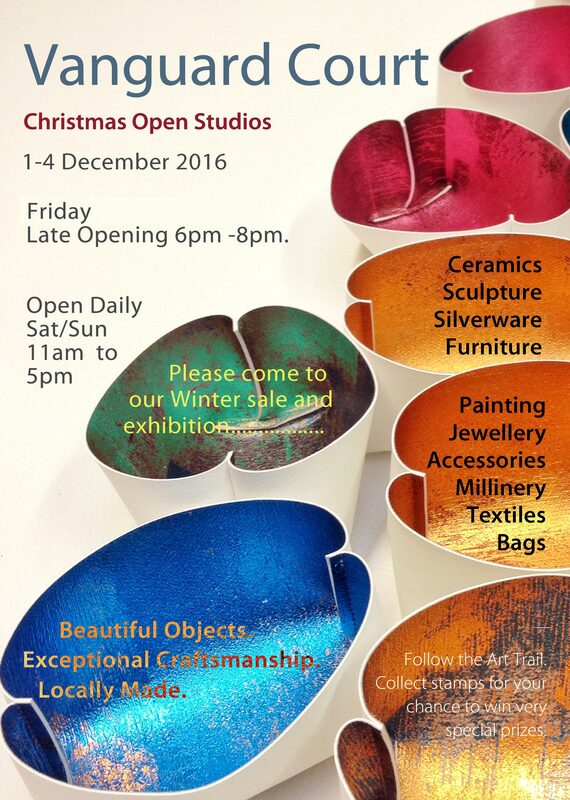 Winter Open Studios 2016 – join us for the private view, mulled wine and Christmas cheer! We have 2 opportunities for you to come for an evening viewing – Thursday eve 6-9pm or Friday eve 6-9pm. If you prefer the daylight hours, we’re also open all weekend 11am -5pm. Of course you will find lots of amazing jewellery, but why not take the chance to see the many other wonders of Vanguard Court? We have world renowned artists and makers within our studios. 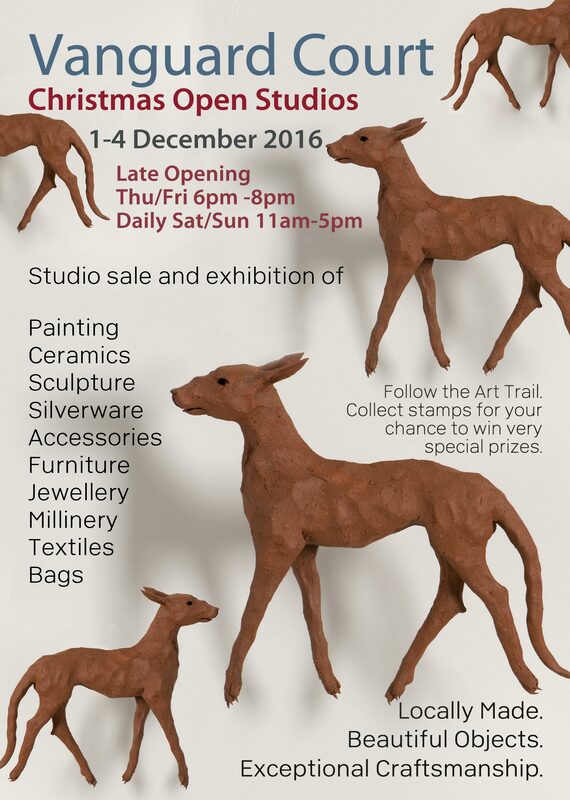 Enjoy ceramics, textiles and print, sculpture, painting, accessories, millinery, mixed media, painting and furniture. 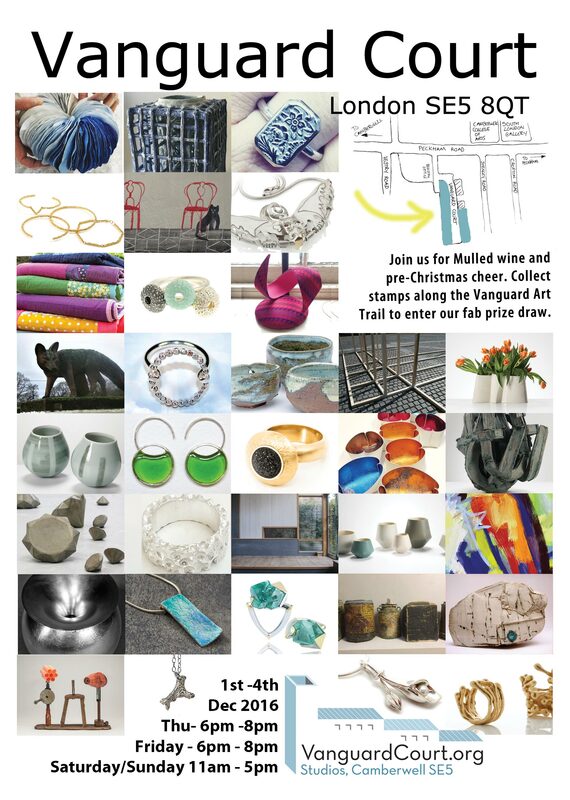 Support local artists, buy unusual gifts that will be loved; find artworks and handcrafted gifts made locally. Tagged Alex Yule, Barbara Yarde, Barbora Rybarova, Becky Dockree, Bianca Bovell, Elena Timbaliuc, Emma McGilchrist, Eve Demetriou, Flux Studios, Heidi Agbowu, Ilona Guest, inspiration, investment, Jessamy Harvey, Jewellery, Maggie Laing, Marina Boshnakova, Millie Jenkins, Raffaella Nissi, Vicky Forrester. Bookmark the permalink.